Most times before you can delete your iPhone's contents and settings, you’d need to input a password; as a form of security measure. So what happens if you cannot remember what the code is? You look for other external methods to erase iPhone without iTunes password. Several reasons could lead us to want to wipe out the data on an iPhone. Maybe you got locked out of the phone and forgot your Google account’s password. Either way, you cannot perform a factory reset on the phone through any of those methods. A simpler way to erase your iPhone without iTunes password if you’re not locked out of the device is by going to the settings app. After that, click on the ‘General’ icon and scroll down until you find the ‘Reset’ button. 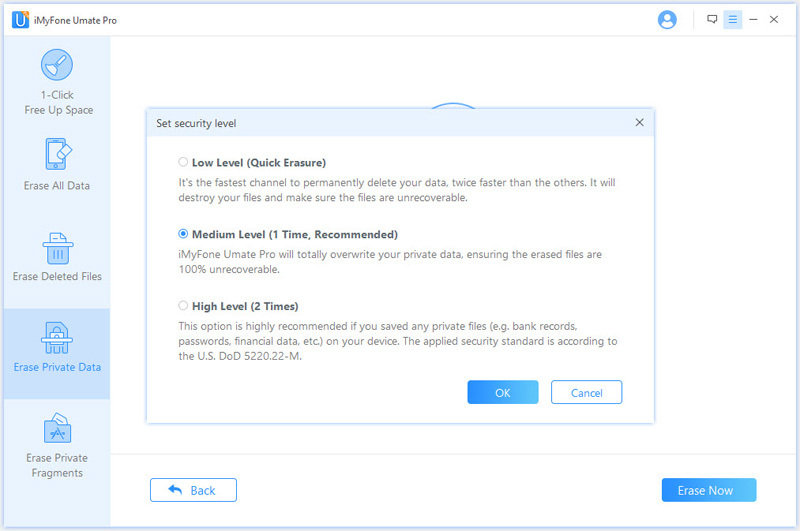 iMyFone Umate Pro or iMyFone Umate Pro for Mac is handy when it comes to deleting unnecessary files from your iPhone or performing a complete factory reset. 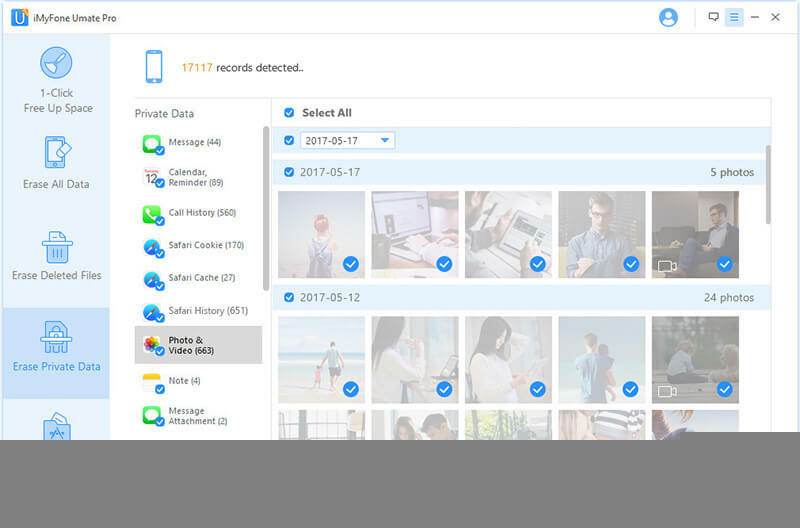 Coupled with the data-erasing feature it possesses, the iMyFone Umate Pro also allows you to scan for unnecessary junk files and applications. Permanently Erase: Completely erases iOS data and makes the eraseed files 100% unrecoverable. Erase iPhone History: It also wipes out previously deleted iOS data on the phone. It even erases third-party apps like; Viber, WeChat, Whatsapp, Kik, etc. Optimization of storage spaces to speed up your iPhone/iPad. Note: For erasing iPhone without password, firstly, you should make sure that "Find my iPhone" is turned off. Step 1. After you’ve downloaded the software to your PC, run it, and then connect your iOS device to the system with a USB cable. Step 2. After your iPhone has been connected successfully, click on the ‘Erase Private Data’ tab and click on “Scan” to let the program starts to scan your iPhone. Step 3. Preview the data and select the ones that you want to erase. Select the security level that suits your particular need; the Medium Level is usually recommended. Then shortly afterward type ‘Delete’ in the next window, to confirm the process. Step 4. 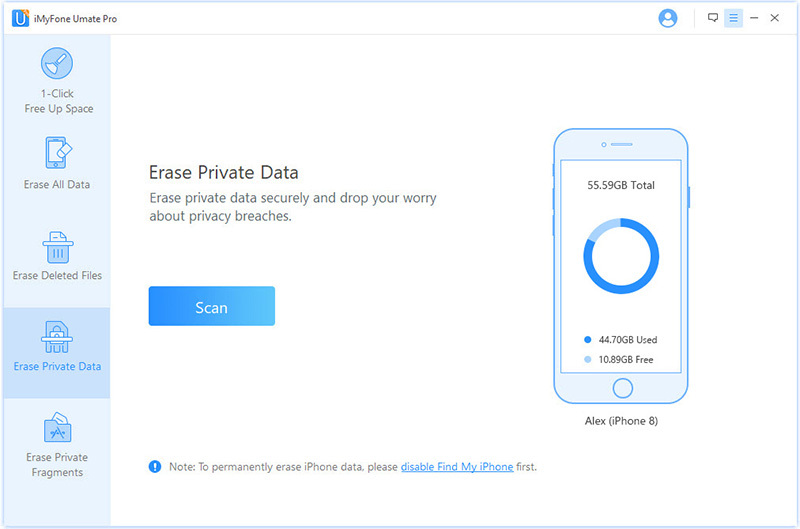 Click on the button which shows; “Erase now” to erase your iPhone data. Ensure that you’ve backed up the necessary data on another device before you proceed to use the software to wipe your iPhone. Make sure that your phone was connected the PC correctly during the entire procedure, to prevent malfunction. If you stop the process halfway when it hasn’t completed the procedure, it might result in the damage of your device. If you’ve tried every other possible means required to recover your password, and it still doesn’t work, then it’s time for you reset it, following these simple steps. Step 4. If you choose the first option, then you’ll receive a mail urging you to follow the link to reset your password. But if you choose the second option, make sure that you remember your answers to the security question you set while creating the account. Step 5. And once you’ve acquired a new password; log in to iTunes to ensure that it works. If you’ve forgotten your iTunes password and as a result of this, you cannot access your library data, the best thing to do would be to try to reset your password. You could either use the Email Authentication method or stick to answering security questions. And if you decide to go with the email process, after clicking on the option, you’ll get a notification instructing you to follow the link to create a new password. After you’ve successfully created it, use your new password to login to your iTunes account and access your library data. Backup the data on another device or platform, so that you’d have easier access to it if you forget your password again. You can also try to use iMyFone TunesMate to export your iTunes library files without iTunes password! 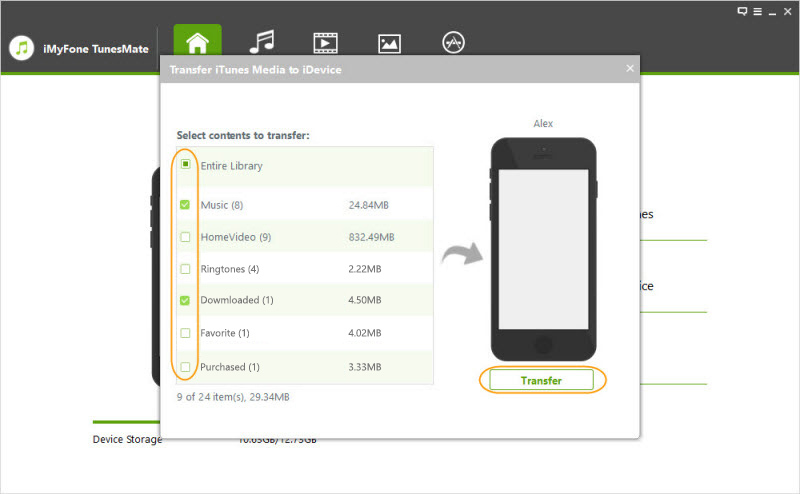 All you need to do is: download and run the program > go to “Transfer iTunes Media to iDevices”. After that, without entering iTunes password, all you iTunes library data will be shown, and you can preview and select the files to export to your iPhone.